The National Highway Traffic Safety Administration has announced that they have upgraded their investigation of the BMW 7 Series to an engineering analysis – a move that could lead to a recall to address a possible safety issue if the US government agency finds some sort of engineering or mechanical defect with the range-topping BMW’s shifting system. 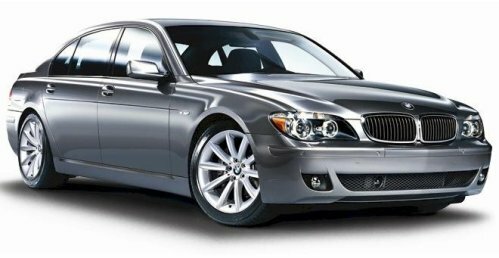 The initial investigation into the 2002 through 2008 BMW 7 Series was launched last August when the National Highway Traffic Safety Administration received complaints of the high end German luxury car rolling away when drivers thought that the vehicle was safely in Park. Since then, the NHTSA has received around 50 complaints of a rollaway issue with the 2002-2008 BWM 7 Series which led to 16 crashes and 5 injuries – although the extent of the injuries and exact cause have not been disclosed. The 2002 through 2008 BMW 7 Series use what has become a pretty typical push-button engine start/stop system combined with a unique shifter mounted on the steering column. This shift system uses a “bump” control so, unlike vehicles with a traditional automatic transmission shifter where you can see what gear the shifter is in – the 2002-2008 BMW 7 Series uses an electronic system that has seemingly fooled some others into believing that the pricey sedan is in Park when it actually is not. When the vehicle is turned off and left in some gear that is not Park, it may be prone to roll away and those runaway Bimmer’s are what caused the investigation in the first place. The engineering analysis around the 2002 through 2008 BMW 7 Series is an interesting one, considering that the problem is that the drivers think that the car is in Park when it actually is not. This isn’t an issue of a component failing or breaking but instead – it sounds like these drivers had their vehicles roll away when they didn’t properly shift them into Park before shutting the car off and walking away. However, considering the high number of rollaway incidents reported coupled with reports of accidents and injuries stemming from this problem – the NHTSA is looking into the issue to see if there is a problem with the vehicle that is causing the BMW 7 Series to not go into (or stay in) Park. The engineering analysis is typically the last stage of a National Highway Traffic Safety Administration before the federal agency asks the automaker to announce a recall but considering the odd nature of these reports – which seemingly suggest that the problem is directly caused by misunderstanding of how the system works – it will be interesting to see if the company is required to issue a recall for these high end luxury sedans. If the NHTSA finds that driver error is the cause for these roll away reports, there will likely not be a recall but perhaps BMW can issue a video to owners explaining how to use the shifter in their luxury sedan. I have a 2006 750li BMW, and I noticed when I shift my car into park, it was showing that was in Park, however it begin to roll and the word "transmission"and an exclamation mark displayed in the display window on the dash. I encountered another incident when i parked in my garage it begin to roll after it was in park ,and hit my garage door. and the message displayed in the large window on the dash concerning the transmission and to contact your BMW CENTER. OMG. I have a 04 745i and I experience the same exact problem. I was smart enough to take out my cell phone and take a picture of the dash board. The dash board showed Park and the word transmission with the ! was shown to the right of the word park.